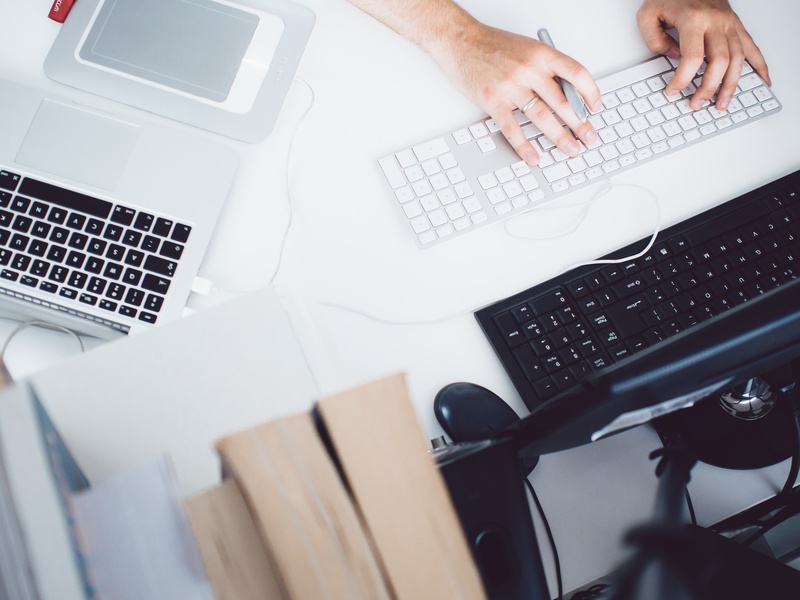 The emerging function of sales enablement is finally gaining some much-needed momentum. Whereas a few years back, we had to clumsily assemble a bunch of cross-function elements to help sellers progress deals through the cycle, we’re now starting to see organisations taking a much more effective approach to servicing their sellers properly. This has a lot to do with the way in which the buyer journey is changing. Undeniably, selling is becoming a much more sophisticated dance. Whilst aided by big data and savvy technology, sellers are challenged by a more competitive market and a more carefully guarded buyer. Let’s take a minute to appreciate that statement. Our prospect is already more than halfway through their decision-making process before even talking to us. This puts our sales reps in a very interesting position. We’re dealing with very clued-up prospects that don’t need to be spoon-fed the standard elevator pitch. They’re ready for the compelling user case study, at a minimum. And they don’t want our standard product either. They want a tailored solution that fits their particular challenge. Out-of-the-box and one-size-fits-all no longer fits the bill. It’s this new selling complexity that is making organisations stop seeing Sales Enablement as a mere nice-to-have but a necessity waiting to be addressed. When done correctly, it can improve the performance and productivity of the sales team and ensures a higher rate of prospect & customer satisfaction. In his blogs, Ben Cotton, Sales Enablement Manager at Hubspot, has talked about a blatant lack of supporting data and thought leadership around Sales Enablement. He puts it clearly when he says that we’re currently ‘building the plane while we’re flying it’. As an emerging practice, it’s still in the early days of evolution, shifting and changing as the need arises. 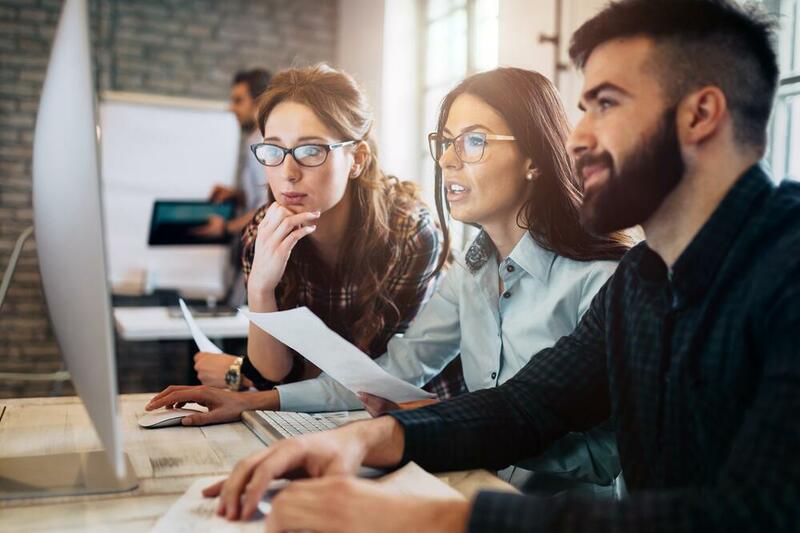 However, having worked in the field of sales performance for several years, I feel we should add to the discussion by laying out six best practices to getting Sales Enablement just right. Never, ever allow your sales team to bombard a prospect with the standard sales pitch they picked up when they first started working for your business. Nobody has time to sit through that. Always tailor your sales pitch to address the buyer’s needs. Similarly, never let your sales process remain untouched and unstudied for a long period of time. Stagnation is the death of all progress. Remember that the best way to sell is not to ‘talk’ but to ‘listen’. How is your desired customer behaving? What are their needs and business pains? What channel do they prefer to use when debating a purchase? Learn from your ideal customer so you can better arm your sales reps. The effort required in crafting appropriate collateral for our sales team often leads us down a very dangerous path. That of believing that once we’ve created a few good pieces, we’re done. Unfortunately, Sales Enablement only works if it meets the buyer’s needs. And those needs vary vastly in between our prospects and through time. Always analyse the tools, content and process you are asking your reps to utilise. Let them simmer out in the field for a while but always with the intention of analysing and tweaking regularly. If a piece of content is not resonating, ditch it. If a piece of technology is too difficult to use, search for alternatives. Not everybody who stumbles across your website is ready to buy from you. Neither is that prospect sure they even have a need for your solution yet. Feeding your prospects with information they’re not ready for is a good way to scare them away. Work out what different funnel stages your prospects and customers are in and then mould what you’re offering based on their requirements at that particular time. Sales and Marketing have been enjoying a flirtatious relationship for years. It’s time to make things official. As we move forwards, we’re witnessing a blurring of the lines between these two departments. Sales can’t do without the ingenuity and creativity of Marketing. And at the same time, Marketing walks blindly without the astute guidance of the people out in the battlefield. Uniting these two sectors is the most efficient way to ensure you’re creating truly captivating stories to hook your buyers with. A common pitfall of Sales Enablement is a lack of clarity around targets and results. Based on the fact that it’s a fairly modern practice, organisations often kick-off their Sales Enablement initiatives half-heartedly. And with no clear view on what we’re planning to achieve, it’s very difficult to quantify success. Clearly, the main objective of enablement is to help your reps sell more and for your business to make more money. The measures should be focused on creating more successful reps that hit their target. If you’re serious about making this work, designate a champion for the cause. It can be difficult to put best practices to work so choosing a capable sales enablement owner – one who understands both your product and the buyer - is crucial to generating the desired sales momentum. Sales enablement should form a part of our plans for the future. It’s only through relevant content, clever technology and savvy sales teams that we will manage to make an impression on our prospects. Are you Looking for a Deeper Dive? 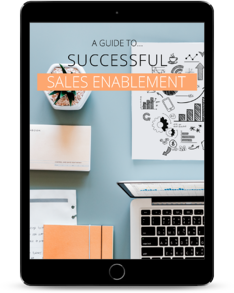 In this guide you’ll find the steps necessary to build a strong sales enablement programme that’ll support your team through the complex sales journey.